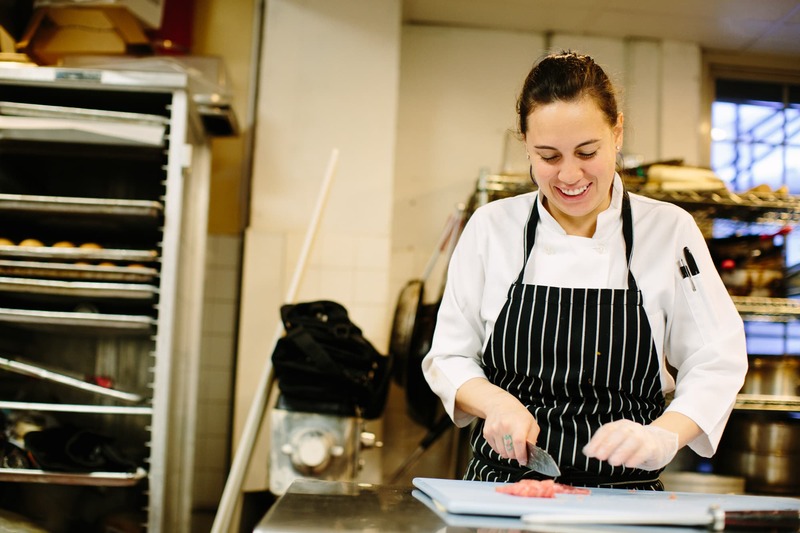 We are excited to tell you about our Sous Chef, Alex Galvis – who revamped our Sólás menu and infused her Colombian heritage into some of the menu items. Stop into Sólás during your next trip to The Lenox Hotel to enjoy authentic Colombian cuisine in downtown Boston. I recently sat down with Alex to talk about her culinary career and here’s what she had to say! Stop by Sólás, meet Alex and try her delicious Sólás Chicken, pictured above. I was even able to convince her to share the sauce used in the recipe – enjoy! In a sauce pan add Bailey’s and reduce. Add chicken stock and bring to a boil and reduce it a little. With low heat, slowly add butter and whisk it until sauce becomes creamy. Add pepper and bring back to boil constantly whisking the sauce. Add a pinch of salt. Watch Alex prepare this delicious sauce!